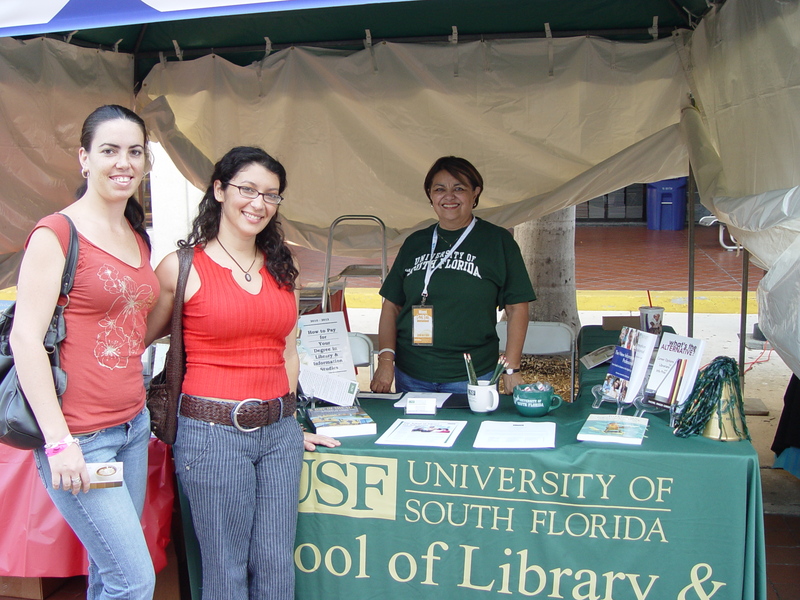 USF SI-LIS Alumna Ana Barreto has been appointed by the ALA Office for Diversity as a field recruiter for the Discovering Librarianship project – a recruitment initiative focused on introducing ethnically diverse high school and college students to careers in libraries. More than 100 applications were received, and field recruiters were selected based on demonstration of leadership potential; interest in recruitment; and committed support from current employer, including time to participate in training and recruitment events. 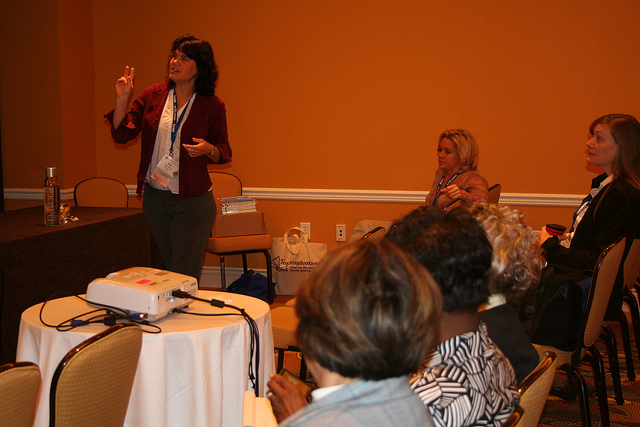 Ana currently works as a librarian at the Miami Dade Public Library. You can read more about this project and the others that were selected here. USF SI’s East Coast Coordinator Maria Treadwell and Communication and Information Officer Jessica Voss attended the 2010 Miami Book Fair International this past weekend. 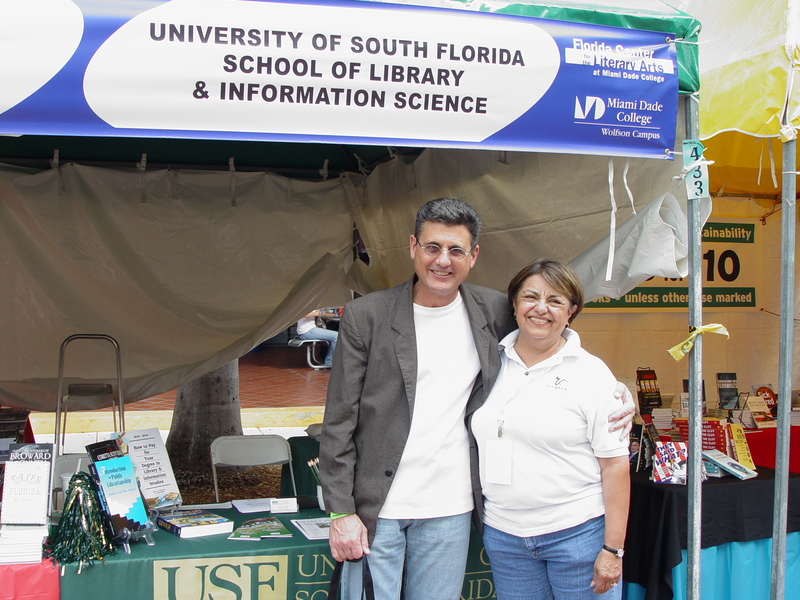 USF SI’s booth was a hit this year at the fair. 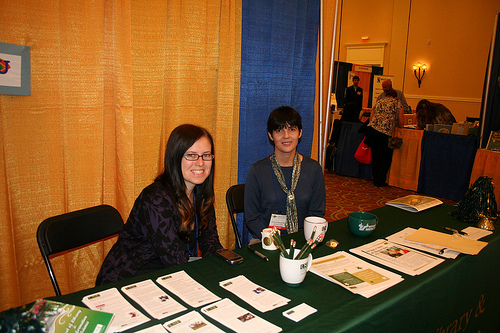 The interest in our programs by fair goers was very high. Many LIS adjuncts, alumni, and current students were excited to see our presence at the fair and stopped by to catch up with the staff. Over 75 prospective students were anxious to stop and get information on our master’s program. The Street Fair included the Festival of Authors, with more than 350 authors reading and discussing their work and the more than 250 publishers and booksellers exhibits. 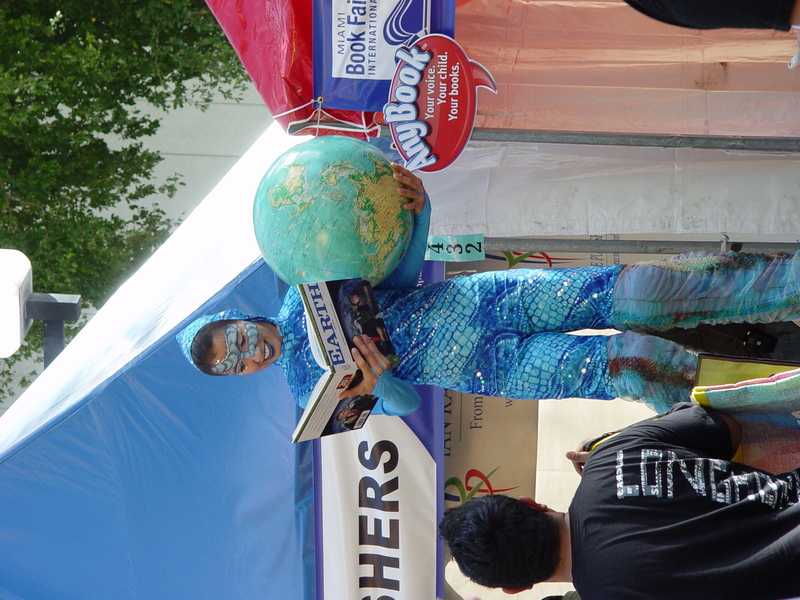 Thousands of South Florida schoolchildren kicked off the Street Fair, making the trip downtown Friday to hear authors and participate in Children’s Alley activities. 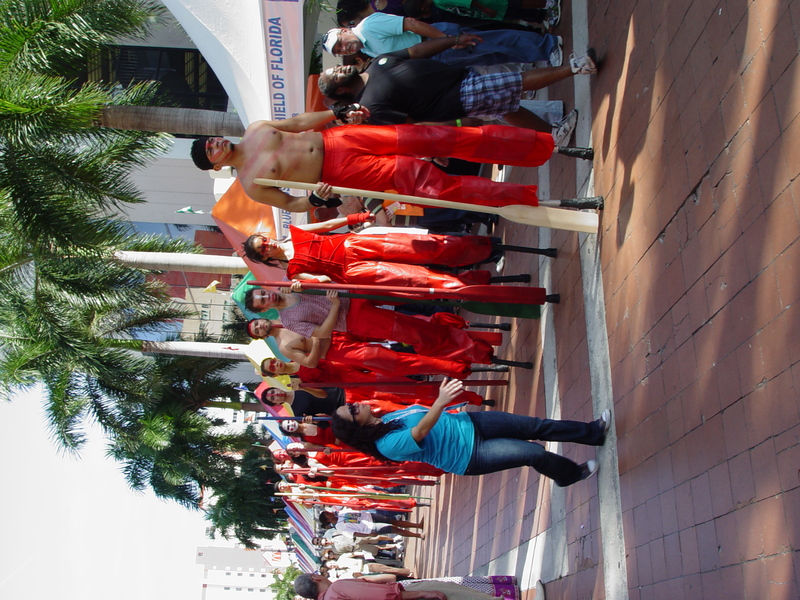 The street fair was full of surprises with performers on stilts and mariachis singing. Here are a few pictures we captured. To view more photos from the fair click here. 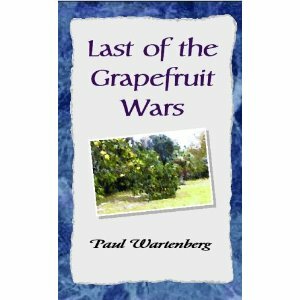 USF SLIS Alum Paul Wartenberg wrote a collection of short stories, Last of the Grapefruit Wars, originally published in 2003. This collection has now been republished in eBook format for Kindle, NOOK, Sony eReader and others. You can find it here. Paul graduated from USF SLIS in 1993. Congratulations Paul! On Thursday, September 9th, 2010 SLIS Alumna Sonja Garcia was presented with the Celebratory Graduate Alumni Award by the Dean of the Graduate School Dr. Karen Liller. 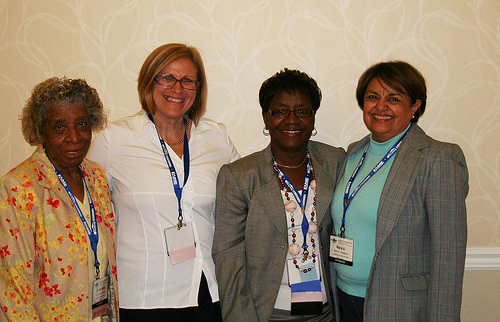 Dean of the Graduate School Dr. Karen Liller presented SLIS Alumna Sonja Garcia with the award. The days events started off with Sonja Garcia speaking with the student organizations from 1:30-2:30 pm about her career as a librarian. 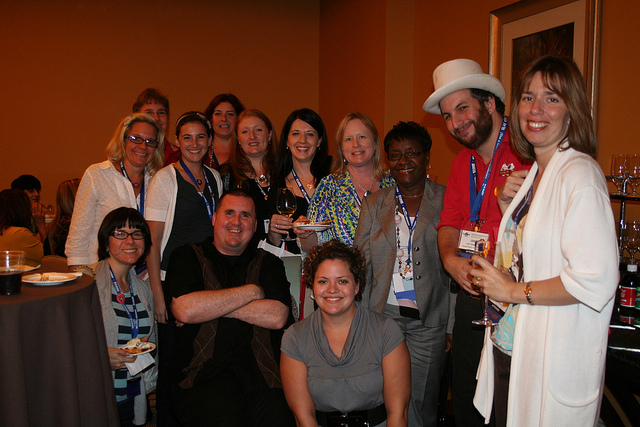 Next, was a reception in the Marshall Center Ballroom from 3:00-5:00 pm. At the reception Karen Liller, Dean of the Graduate School and Associate Vice President for Research & Innovation, welcomed everyone and introduced Sonja Garcia. Then, Sonja gave a talk about the impact of her graduate education on her life. 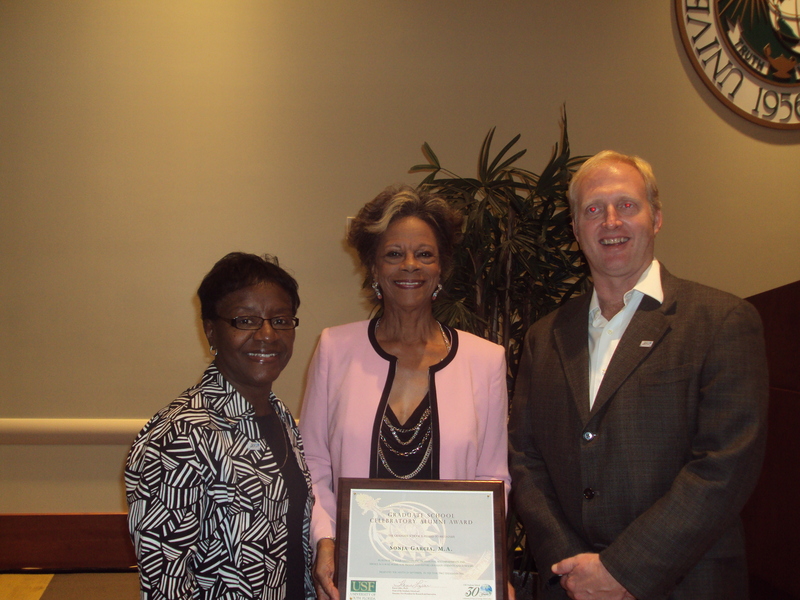 Dr. Cora Dunkley, Sonja Garcia, and Director Jim Andrews. People from all aspects of Sonja’s life came out to watch her receive this award. The audience included: SLIS faculty, staff and students, the graduate school staff, St. Peter Claver Catholic School board of directors and principal, former colleagues of Mrs. Garcia’s from the USF Tampa Campus Library, Mr. Garcia and more. To read more about Sonja Garcia click here. To see more photos from the Celebratory Alumni Award Presentation click here. 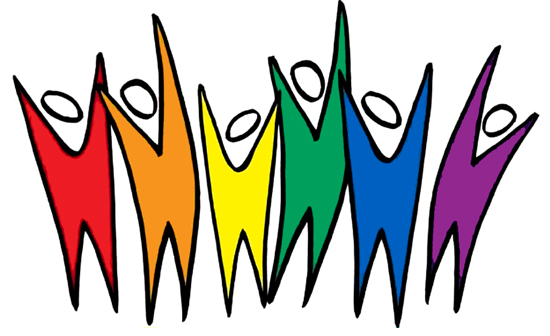 The USF Tampa Graduate School is pleased to announce that Mrs. Sonja Garcia has been selected to receive the Graduate School 30th Anniversary Celebratory Alumni Award on September 9, 2010. 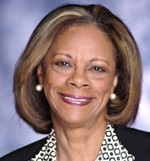 Sonja W. Garcia is a former USF Library Administrator and a former member of the USF Board of Trustees. She earned a Bachelor of Science degree from Florida Agricultural and Mechanical University and a Master of Arts degree in Library and Information Science from USF. She has completed numerous leadership, management and development training programs. Mrs. Garcia is the recipient of the Jean Key Gates Distinguished Alumni Award, presented by the USF School of Library and Information Science. She is also a recipient of the Kente Award presented by the President’s African American Advisory Committee. 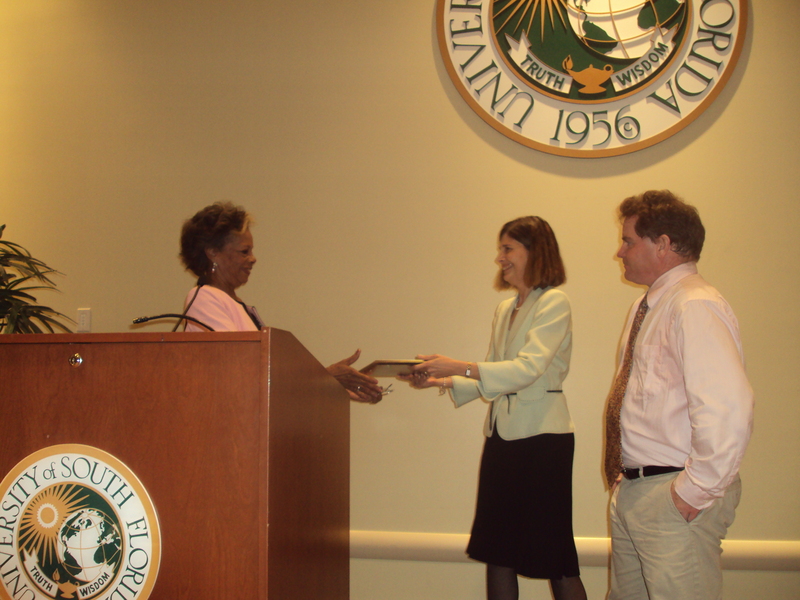 She’s also received keys to four cities for her community building in Florida, Georgia and South Carolina.